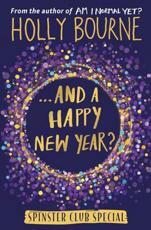 Holly Bourne’s work for agony-aunt encyclopaedia TheSite has covered the full gamut of teenage issues so it comes as no surprise that her first novel is aimed squarely at the Young Adult market. What may surprise, however, is that Soulmates is no run of the mill boy-meets-girl story. There is a girl who meets a boy but there is also a shady, international organisation, a conspiracy to keep them apart and the potential for the world to end. Soulmates is the story of Poppy and Noah. 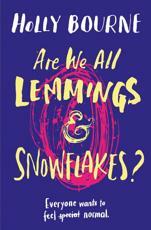 Poppy is a seventeen year old cynic, aware her life is one big middle-class cliché and aware of how clichéd it is to be a seventeen year old cynic. Noah is an achingly cool guitarist in a rock band. They meet at a gig and seem perfect for each other. And they are perfect for each other - so perfect in fact that a secret organisation tries to keep them apart to avoid their love causing the apocalypse. Bourne’s novel is an interesting twist on the forbidden love genre at a time when the Young Adult fiction world seems stuffed to bursting with stories of two people who can’t be together because of some ideological or cultural conflict. In Soulmates the characters are not held apart by their parents, friends, race or religion, but by a concrete and definable set of consequences, taking the forbidden love narrative away from the standard ‘idealistic youth versus ossified old age’ premise and moving it into new territory, thus forging a new trail for the genre. 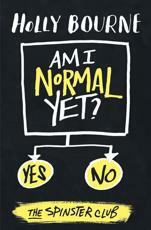 Holly Bourne studied at the University of Sheffield and worked as a journalist before moving into fiction. 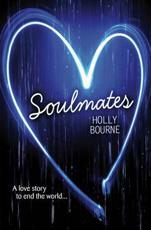 Soulmates was in the running for our 2013 First Book Award.